Enjoy a warm cappuccino, a glass of fine wine or a delicious meal as you relax at the Bastille Café Square Dining Table. This industrial style piece is inspired by the remarkable Tolix designs of Xavier Pauchard. 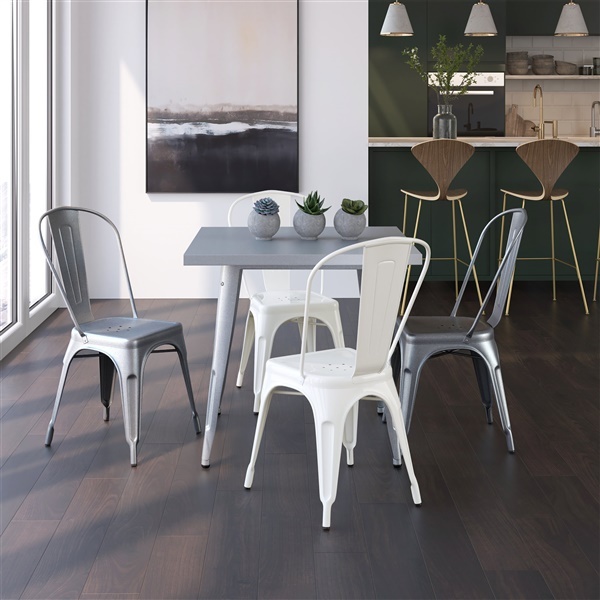 The galvanized steel frame, table top and legs give it a chic and urban appearance. The zinc coating prevents the piece from rusting especially when placed outdoors. 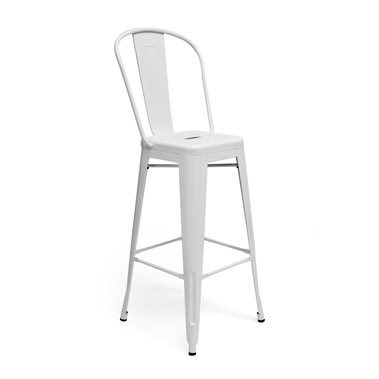 It can comfortably seat up to four people making this a perfect addition to an outdoor patio or café terrace. Use with any of the other pieces from the Bastille Collection, for a complete vintage-modern style. Beautiful and functional. Fits into small kitchen nook. Try it with the light blue matching chairs. Sleek, contemporary, stylish, high-quality. We purchased 3 of these, great decision for our parties! I was on the hunt for a small table and found it!! I kept it simple and paired it with the matching silver Bastille chairs. What is the finish/color of the table top? 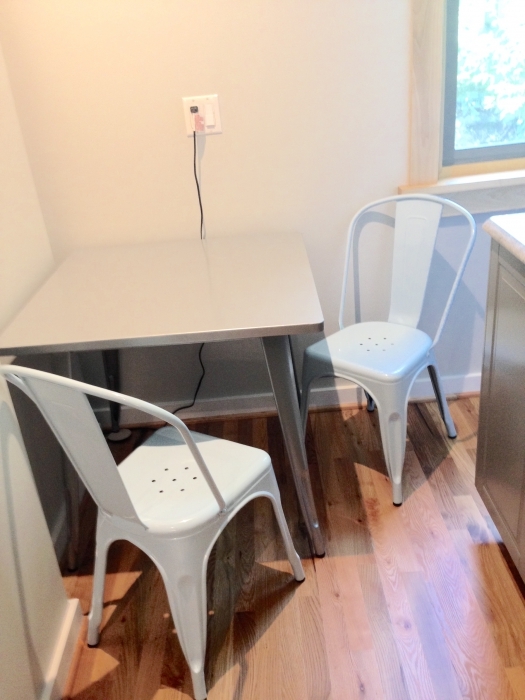 Both the table top and legs are made of galvanized steel, in a silver finish. The legs on the Bastille Cafe Square Dining Table do not fold.